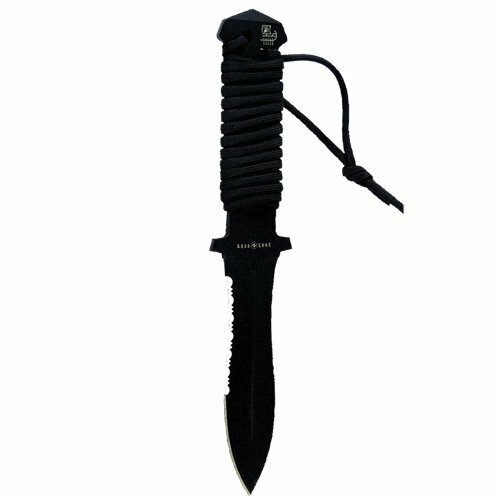 A dive knife can save a diver’s life, helping them cut loose from tangled fishing lines and ropes, or to get a buddy’s attention by rapping on the tanks. It doesn’t have to have a sharp tip, but the blade should be sharp enough to make short work of cutting through many things. Available in either blunt tip or Spartan tip, the Aqua Lung Argonaut Titanium Diving Knife is a reliable tool that you can use underwater. Made of Titanium with an EDP coating, it is highly resistant to rust and saltwater corrosion. The handle is double wrapped in paracord for better grip and handling. Both the blade and handle measures 4 7/8” long. Straps allows you to secure the knife where you can easily reach for it. 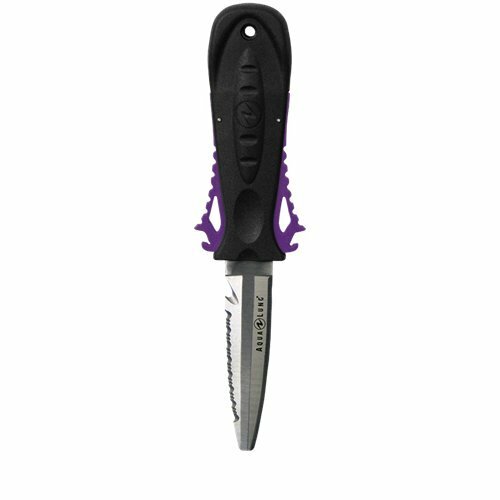 Designed for scuba diving safety, every aspect of the Blue Tang titanium dive knife was well thought out. It features a sharp, corrosion resistant blade that measures 5 inches, and is non-magnetic, ensuring it won’t get stuck wen exploring shipwrecks and other metal surfaces. The use of titanium gives the blade its durable, long-lasting and reliable quality. It comes with both straight and serrated cutting edges, ideal for different situations, and a quick-release sheath. For a powerful grip, the knife has a contoured handle. The best dive knife under 200 should do more than just cut through webbing and ropes, and this Aqua Lung blade doesn’t disappoint. It comes with stainless steel barnacle nuts for easy installation on Buoyancy Compensators with knife grommets, and hose mounting straps for quick attachment to the BC inflator hose. If you’re looking for a dive knife that conveniently fastens to an Aqualung BCD, this knife is an excellent choice. 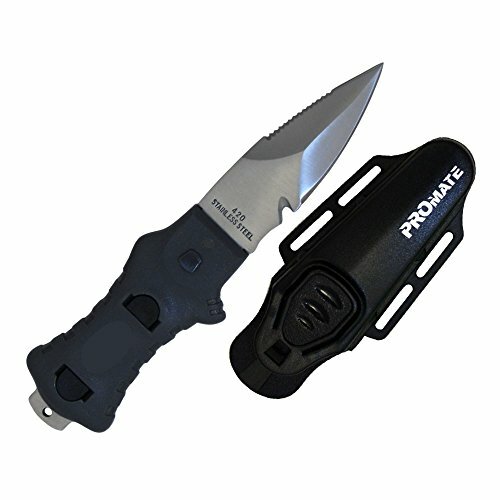 Made of Titanium, the Promate Scuba Dive Snorkel Knife is designed for prolonged use and abuse, without any risk of corrosion and rust. It is lighter than stainless steel knives too. It requires little to no maintenance, but functions as intended underwater or out of it. Featuring a rubber molded handle, it offers easy and comfortable grip. The handle bottom comes with a Titanium hammer that can be used for underwater signaling. The Borg is a modern, large knife with a futuristic design and a strong, tempered blade made of 304 Japanese stainless steel. The handle has an ergonomic design to ensure a secure grip even wearing gloves. It is separated from the blade by a small techno polymer thumb tab. 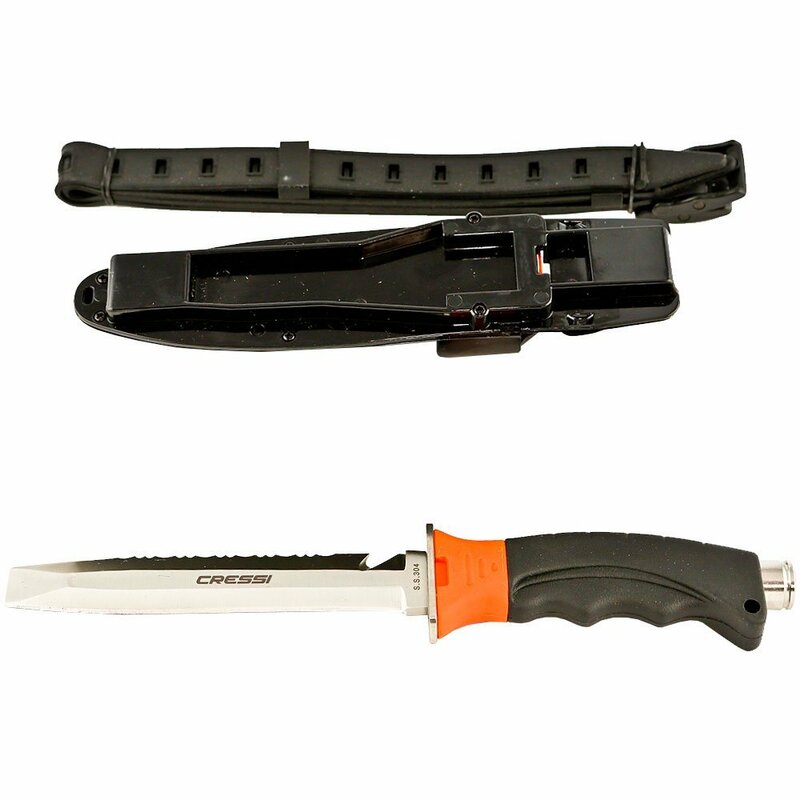 The knife comes with a sheath that features a locking mechanism to allow one-hand release. The sheat comes with two, standard issue straps to attach it to your leg. Total length: 10. 43 in (265 mm). Blade length: 5, 51 in (140 mm). A real Italian brand, you can rely on Cressi to provide you with the best dive knife under 200. The blade is made of Japanese 304 stainless steel with straight and serrated edges on either end. 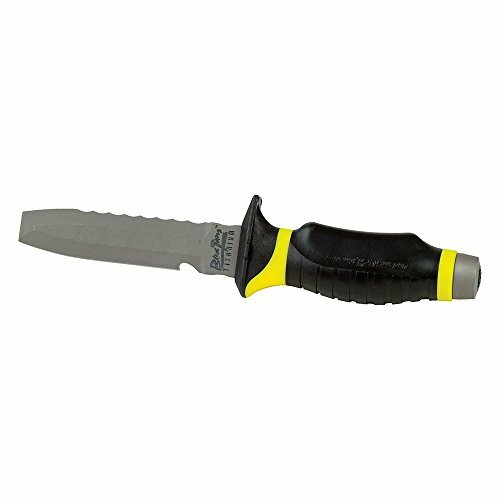 Unlike other diving knives, the long blade diving and spearfishing knife has a thumb tab made of techno polymer for improved grip and handling. Its sheath comes with a one-hand release locking mechanism. Also available in blunt point and drop point. This line up of the best dive knife under 200 gives you the diving tool you are looking for without breaking the bank.